It looks like two websites will be in trouble for leaking information about two previously unannounced PlayStation Vita titles. Spotted on GAME’s website, Ghost Recon: Final Mission was spotted with a “TBC 2012” release date. 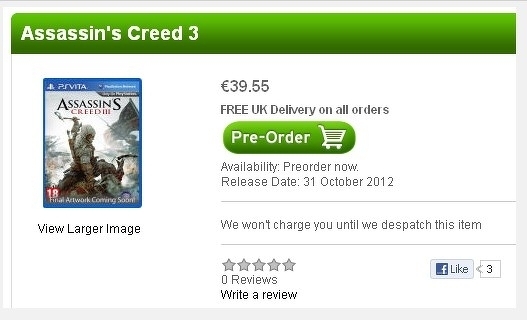 While over at Zavvi, Assassin’s Creed III was spotted with a “October 31st 2012” release date. With E3 2012 just around the corner, you can expect an official announcement soon.